Spring Forward is a ground-breaking program and global community of practice that builds financial resilience for social and environmental justice. It develops the essential competencies that enable leaders to reset their organizations and movements on a path to greater impact. 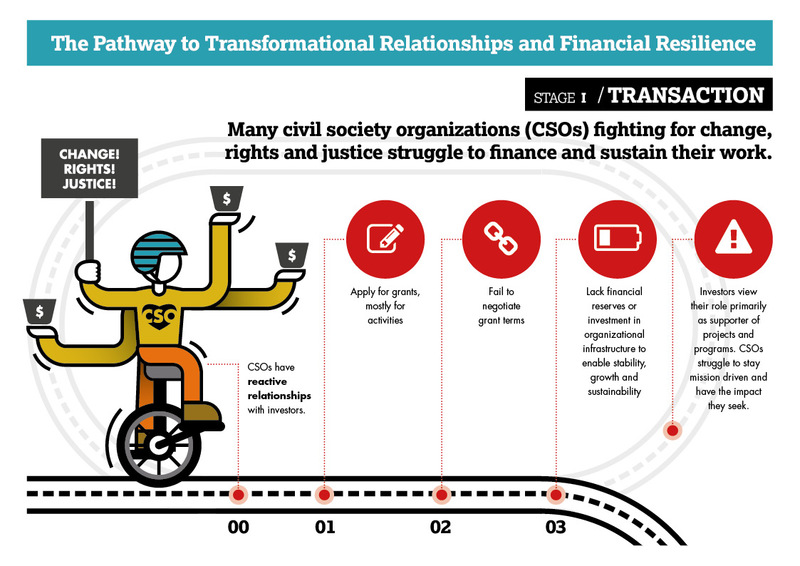 This infographic was requested by the founder, Ellen Sprenger, with the aim to show in a visual way the key steps in developing greater financial resilience for the Civil Society Organizations. 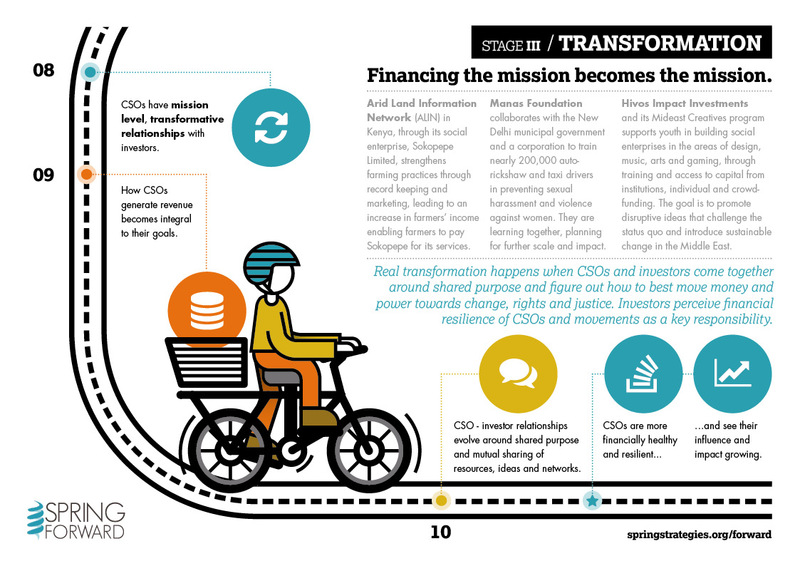 Here you can download the pdf of the infographic. 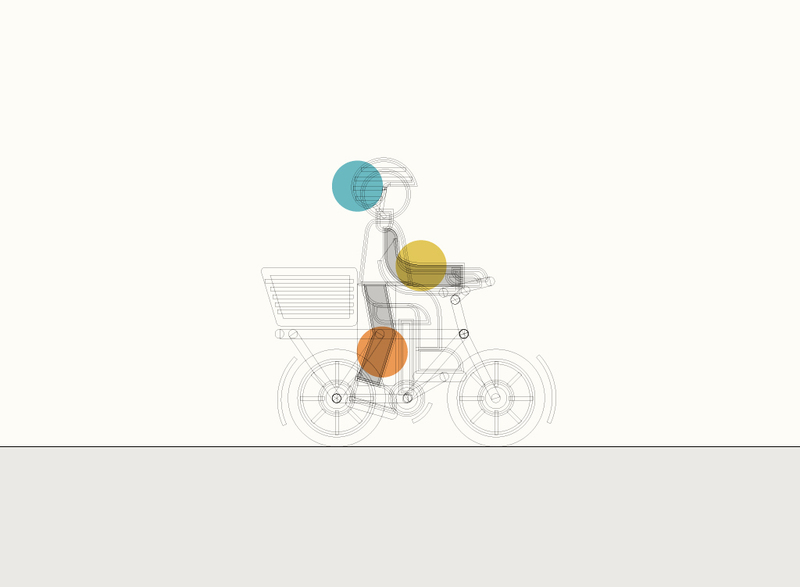 The story was developed around the metaphor of the bicycle, according to the Spring Forward philosophy: “Only when both wheels are inflated, the frame is sturdy, and the bicycle is moving in the right direction — toward the mission — can the organization reach momentum, adjust course when needed, and realize powerful and ambitious goals”.